Zoning issues can seemingly arise out of nowhere and affect the way you choose to use your property. It is important to stay up to date with local zoning ordinances and have a good lawyer to guide you with upcoming projects or changes that may be affected. It is equally important to also be aware of what happens when zoning changes do affect, and even cancel, these projects. The Fifth Circuit Court of Appeal for the State of Louisiana addressed this issue when a Terrytown, Louisiana property was rezoned by the Jefferson Parish Council on December 12, 2007. The Berrys purchased two adjoining parcels of property in 1998 and 2000, consisting of over four acres of land located in the Elmwood Subdivision and on Behrman Highway along the west bank of Jefferson Parish. This property was zoned as a Multiple Use Corridor District (“MUCD”), allowing for diverse commercial use of the land. On October 13, 2006, the Berrys and Volunteers of America, Inc. (the “VOA”) entered a purchase agreement to develop the property into a high-density, multi-level housing facility for the elderly. While the VOA made preparations for the project, the Jefferson Parish Council executed a zoning and land use area study that covered 23.67 acres, including the property owned by the Berrys. The VOA project came to a halt due to a moratorium, an order of postponement, on the issuance of building permits for the area within the study, as required by the Parish Code. When the study came to an end, the VOA project ended as well; the study concluded with the Parish Council changing the zoning of the front portion of the Berry property from MUCD to C-1 (Neighborhood Commercial District), and the rest of the property zoned as R-1A (Single-Family Residential). Though the zoning changes were consistent with the Parish’s 2003 Comprehensive Land Use Plan, they were inconsistent with the VOA project. The Berrys filed two lawsuits; in the first lawsuit, the Berrys sought to enforce their purchase agreement with the VOA and enjoin, or forbid, the Parish from using the moratorium. In the second lawsuit, the Berrys claimed the moratorium and zoning changes violated their constitutional rights for their right to contract and claimed damages for the Parish’s actions. These lawsuits were consolidated into one and the Parish filed a Motion for Summary Judgement, a motion for judgment as a matter of law that is determined without a trial on the merits. The Twenty-Fourth Judicial District Court granted the Parish’s Motion for Summary Judgement but the Court of Appeal found that this was improper. Despite this, the District Court dismissed Berry’s lawsuit on March 2, 2015, and the Berrys appealed, arguing that the Parish’s study and rezoning ordinance was arbitrary and capricious and the District Court erred when it did not award them monetary damages. An arbitrary act is one that is based on personal discretion rather than reasonableness, and an act is capricious when it is a sudden, unaccountable change. See Reed v. State Farm Mut. Auto. Ins. Co., 857 So.2d 1012 (La. 2003). According to the District Court, courts will not interfere with how governmental bodies use land unless it is apparent that the use does not substantially relate to the public health, safety, or general welfare. See City of New Orleans v. La Nasa, 88 So.2d 224, 226 (La. 1956). When in doubt, courts will resolve in favor of the validity of the zoning ordinance. See Palermo Land Co. v. Planning Comm’n of Calcasieu Par., 561 So.2d 482 (La. 1990). In order to prove that the zoning change and moratorium was arbitrary and capricious, the Berrys needed to show that there was no substantial relation to public health, safety, or general welfare. The Berrys argued that the Parish’s study was done in bad faith with the specific goal of stopping the VOA project, the study was incomplete and unreasonably small, the property was spot-zoned, and the property was subject to a regulatory taking. However, testimony at trial showed that the study that was conducted did not single out the VOA project; the rezoning was consistent with the Land Use Plan’s goal to promote public health, safety, and welfare; and the study was of the appropriate size and conducted thoroughly. Spot-zoning occurs when a parcel of land is singled out to be used differently from the surrounding area and inharmonious with the community’s zoning plan. See Monte v. Par. of Jefferson, 898 So.2d 506 (La. Ct. App. 2005). 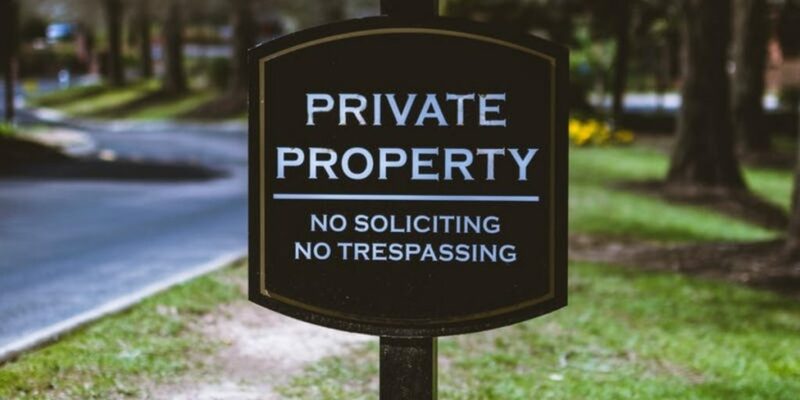 A regulatory taking is an unconstitutional taking of private property that deprives it of its practical use or value. The Court of Appeal found that since Berry’s property was rezoned in harmony with other properties in the area and did not deprive them of the property’s practical use, neither spot-zoning nor a regulatory taking took place. With the Berrys unable to uphold their burden of proof, the Court of Appeal ultimately held that the Parish’s study was not arbitrary or capricious and the rezoning was substantially related to public health, safety, and welfare. This case illustrates the heavy burden of proof when challenging a rezoning ordinance. When making plans for your property, it is vital to know how zoning changes can affect you and to always have an excellent lawyer experienced in land use and real estate to help you understand whether these changes are able to be challenged or whether new plans need to be made. Additional Sources: Thelma and Richard Berry versus Volunteers of America, Inc., Forrest Towers, II, Limited Partnership, and The Parish of Jefferson. Thelma and Richard Berry versus The Parish of Jefferson.